Use the coupon codes to enjoy 15% off on hotels and up to 6% off on flights/packages. Exclusively for Standard Chartered Mastercard members. Valid from now until 31 Oct 2018. Reebonz is having their warehouse sale from now until 16 Sep 2018. Visit them today to enjoy up to 90% off selected items and additional 10% off with DBS/POSB card. Exclusive deals for OCBC card holders. Enjoy 8% off hotels in USA and Europe. Promotion is valid for bookings made from 1 - 30 Sep 2018. Enjoy exclusive all-in fares from Singapore to Bangkok and worldwide destinations on Thai Airways from $298. Popular Warehouse Sale is back with the English, Chinese and Malay books buffet! Take your favourite books home at unbelievable prices. Exclusive deals for OCBC card holders. Enjoy 8% off hotels in Korea, Australia, New Zealand and Switzerland. Promotion is valid for bookings made from 1 - 31 Aug 2018. Exclusive deals for Citibank cardmembers. 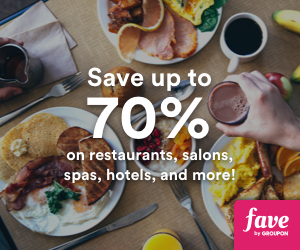 Enjoy 7% off hotels worldwide. Promotion is valid for bookings made from now until 31 Aug 2018. Use your UOB card to enjoy upp to 20% off with purchase of $100 on regular-priced items. Valid till 31 Dec 2018.